Teagueia puroana, named after WLT corporate supporter Puro. Photo © Lou Jost. 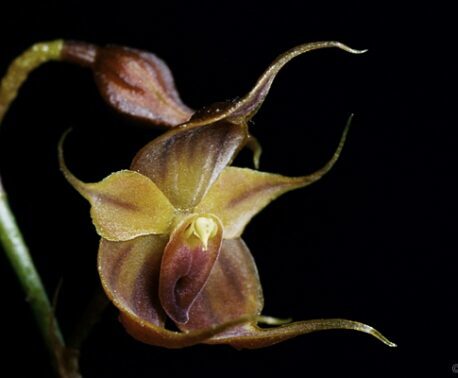 Two new species of orchid, from the Teagueia genus, have been discovered in the eastern Andes of Ecuador. These endemics of the upper Rio Pastaza watershed were named T.barbeliana and T.puroana, and have been described and illustrated in a recently published paper by Lou Jost and Anderson Shepard. 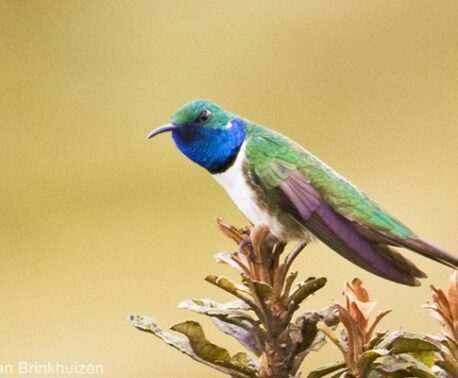 They were found in the Cerro Candelaria area of the Rio Pastaza, where 14 other species of Teagueia survive. 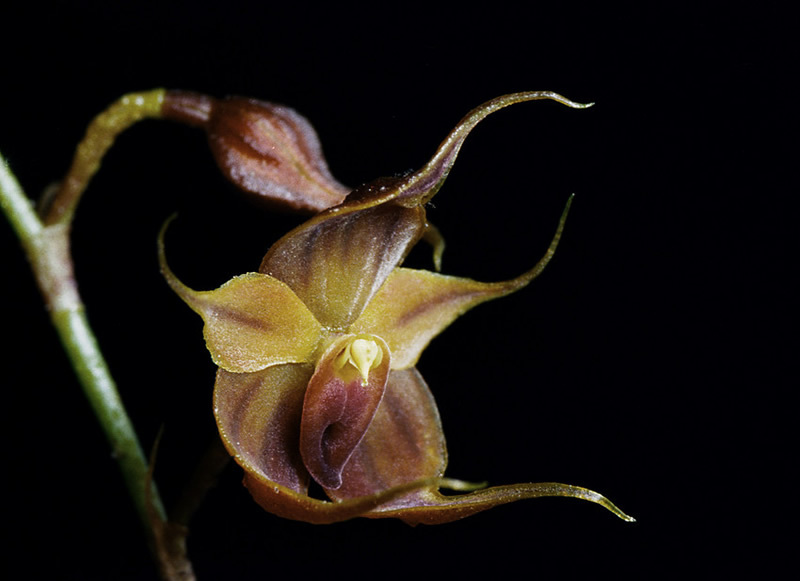 The two recently discovered orchids are among the rarest of the Teagueia species in Cerro Candelaria, with only a few plants of each discovered during extensive fieldwork. The T.puroana grows on the low branches and trunks of isolated, small stunted trees. It differs in appearance from its relatives by its petals and sepals that taper to a long point. While the T.barbeliana, which was also found on a mountain top 18km west of Cerro Candelaria, has broad round flowers and grows in moss on open ground. Before 2000, only six species of Teagueia were known to exist; three species found in Colombia and three in Ecuador. However, through the work of botanist Lou Jost (of Fundación EcoMinga) and his students on these and neighbouring remote mountains in the eastern Andes, a total of 28 species have been discovered, including the T.barbeliana and T.puroana. Teagueia barbeliana, named after WLT council member Albertino Abela's mother Barbel. Photo © Lou Jost. Molecular work by Mark Whitten, Senior Biological Scientist at the Florida Museum of Natural History, and his team at the University of Florida, may soon be able to assign a time-scale on this Teagueia radiation, which appears to be very young. The recently discovered Teagueia species have been named in recognition of supporters who contributed significantly to the conservation of the orchid’s habitat; T.puroana after World Land Trust corporate supporter Puro Coffee and T.barbelianain honour of World Land Trust’s former Chairman and now council member, Albertino Abela, who dedicated it to his mother, Barbel. 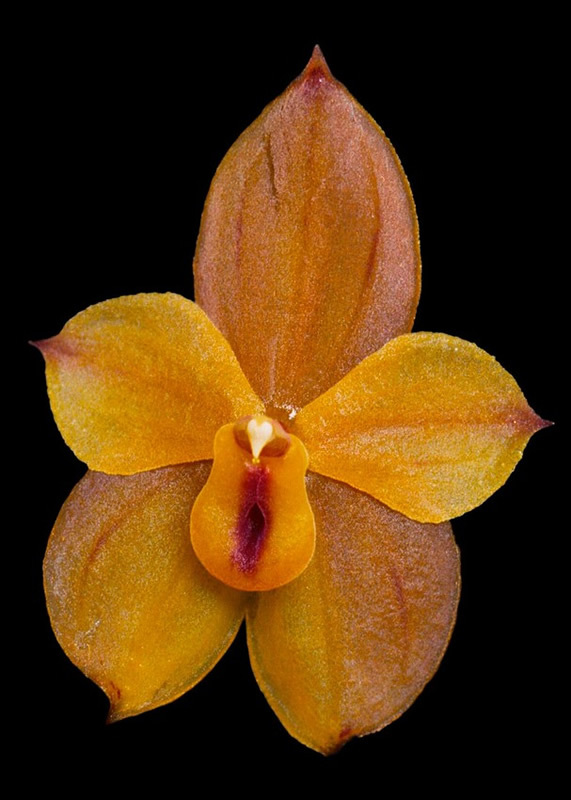 These recent orchid discoveries further highlight the scientific importance of protecting this habitat. With large tracts of the region still unexplored, it is vital that we expand the area under protection to safeguard the Andes’ evolutionary secrets. Read about the evolutionary radiation of the genus Teagueia in this area.